Dora 2019 is taking place tomorrow night in Opatija, where a total of 16 acts are going to compete to represent Croatia in the 2019 Eurovision Song Contest in Israel. 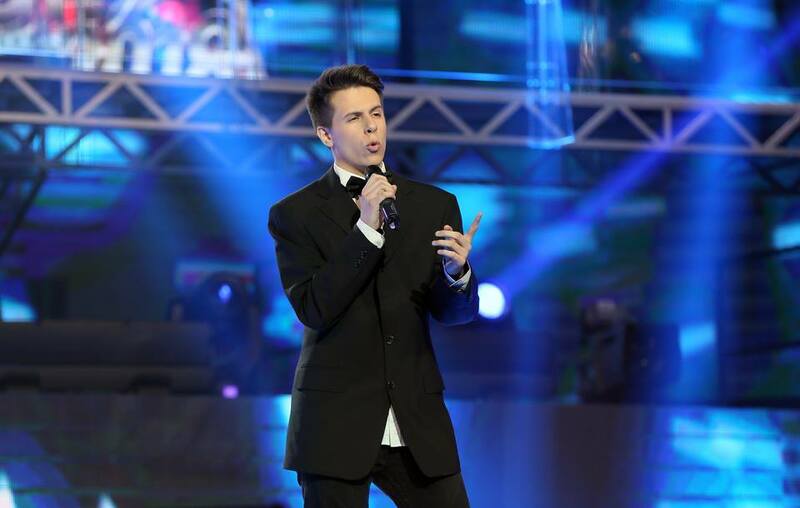 The rehearsals have already started, and we managed to catch up with one of the 16 finalists – the young and very talented Roko Blažević. Hi Roko! First of all, thank you for taking some time out of your busy schedule for talking to us. For the start, what can you tell us about your musical starts, and your career so far? Sure! Anytime! I’ve sung since I was a little child, and I’ve been in many international music festivals and singing competitions and did pretty well. I’ve been in few talent shows and won one of them, “Pinkove Zvezdice” (for the whole Balkan region), and I was second in “RTL Zvijezde” (Croatia). I see Dora as a huge opportunity to show my vocal skills to many people who are going to be watching it. I’m going to do my best and hope for the best, of course! As you just mentioned, you took part in two different talent shows. How was the whole experience, and what did you learn there that helps your career nowadays as well? In “Zvijezde” and “Pinkove Zvezdice” I learned a lot about stage presence and self-confidence. The experience was just amazing! I met a lot of great people, and I’m really happy with my second-place finish. How did this collaboration with Jacques Houdek come along? And how did you decide to enter Dora? One day Jacques just came to me and said, “Hey, would you like to sing the song I just wrote just for you?” in Dora. I was so surprised and stunned, and, of course, I said yes. And as soon as I heard “The Dream,” I fell in love with it. Apart from Jacques, another well-known name is behind your entry, Charlie Mason. What advice did Jacques and Charlie give you ahead of the show? I’m so happy that Charlie is a member of our team too, because I really respect his work, and his “Rise Like A Phoenix” is one of my favorite songs ever. Both him and Jacques told me to be myself and do my best. I’m ready, and I know I won’t disappoint them. I’m guessing that you already started rehearsing in Opatija. How is everything there, is all as you expected it to be? Rehearsals are going even better than I expected. I’m super excited for everyone to see what we’ve prepared. What sort of performance can we expect from you? With my performance, like the name of my song suggests, I’ll try to take everyone to “The Dream”-world. Why should you be the one to win Dora and go on to represent Croatia in Eurovision in Israel? I think the best performance should win. I think I’ve got a chance because I hope I have the best song, and I know I have the best Dream Team. I really believe in myself and believe I can do it. What will be your next step now after Dora? We’ll see about the next step. I’m sure there’s going to be some new songs, maybe even an album, but I really hope the next step will be Eurovision 2019. Thank you very much again for your time, and I wish you the very best of luck on Saturday! Roko’s “The Dream” will be premiered tomorrow evening at Dora, which starts at 20:05 CET. In the meanwhile, you can listen to a snippet of his entry in this video with all entries. Here is the second song of UMK 2019!